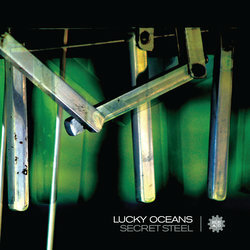 Enthralling new CD from Lucky Oceans entitled "Secret Steel", in which he pulls together a purpose-built band that crosses the generations as much as it does musical styles. Together they head off on a musical adventure that at a stroke redefines the pedal steel as one of the most versatile and expressive of all instruments, shaking off its type-casting as a strictly country sound. Always there is the joyous warmth of Lucky's pedal steel playing and the work of the other musicians is consistently exceptional, and the appeal should be as broad as the music itself. Because I got into country music after my first musical passion, the blues, when I heard the bluesy, vocal sounds of Sacred Steel players, I thought, ‘why didn’t I know that you could play pedal steel guitar like that?’ Skin of our teeth stuff.